Scott works as a mechanic. He enjoys his job, but at the end of the day he leaves work completely exhausted and suffering from back pain. 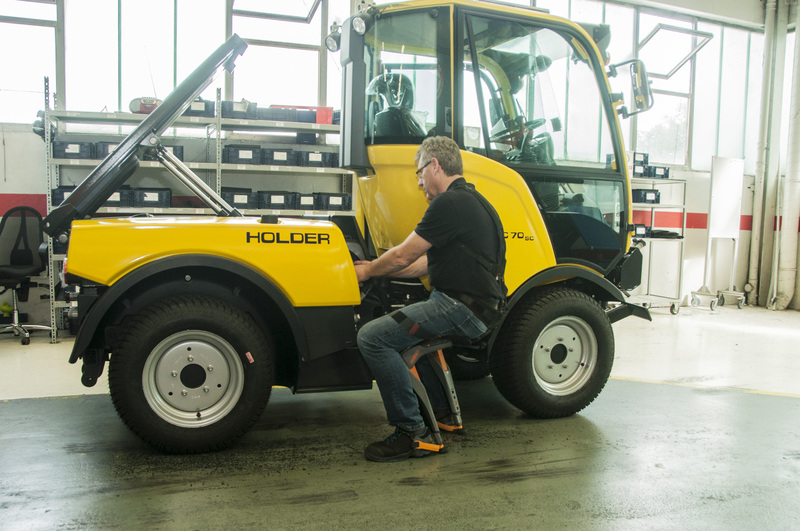 Since Scott is not the only one at his workplace who has to deal with this problem, the factory manager decides to order a Chairless Chair as part of a pilot project. height and shoes of each participant.. Scott is surprised to see how easily the Chairless Chair glides can be attached to the body – it takes less than a minute for him to get ready for work. He also notices that the Chairless Chair requires him to sit dynamically, which other than expected, isn’t strenuous at all and helps protect his health. Scott now wants to get a sense of how it feels to work with the Chairless Chair® and is pleased to see that the Chairless Chair allows him to work much more comfortably and that he is even more productive when using it. After a long day at work Scott goes home without feeling exhausted..